The ingredients are rather simple and thanks to NOW I always have them on hand to whip up a batch. 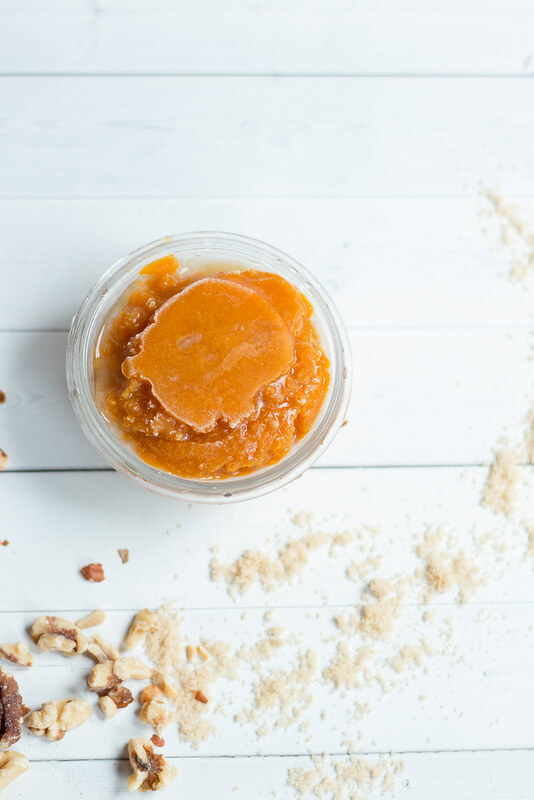 I absolutely adore the combination of pumpkin, coconut and walnut- they are my dream trio in many of my pumpkin desserts. For a chance to win simply leave a comment below, become a follower on my Instagram Page by clicking here or visit NOW on Facebook ! In a medium bowl, sift together flour, baking powder, baking soda, pumpkin pie spice and salt // set aside. 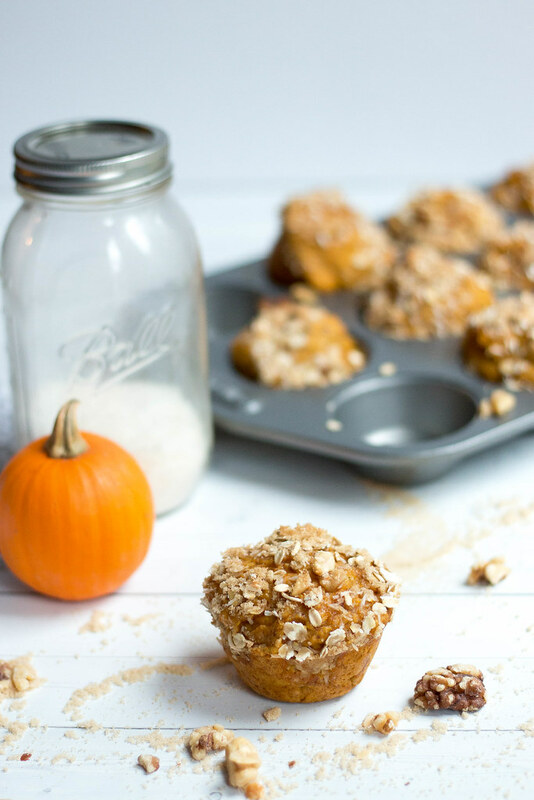 Using a stand mixer or by hand whisk together pumpkin, pure maple syrup, coconut oil, non dairy milk and pure vanilla extract. Add wet to dry and stir until just mixed- do not over mix. 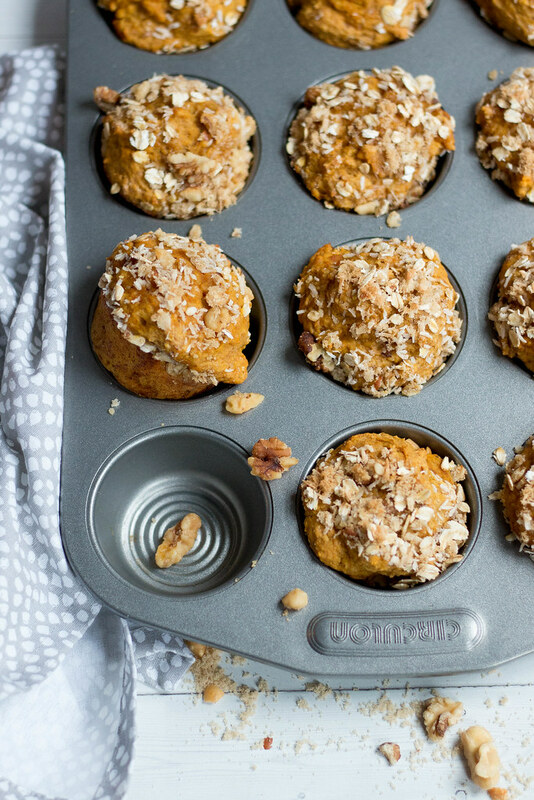 With an ice cream scoop or spoon, fill muffin wells to the top with batter - top with crumble mixture. Bake in a 350 degree pre-heated oven for 18-22 minutes, checking for doneness at the 18 minute mark with a wooden skewer or toothpick. Tester should have a few moist crumbs when removed. Once done, remove from the oven and let cool in muffin tin for 5 -10 minutes on a wire rack prior to removing from the muffin tins. These muffins look so good! I love streusel-y toppings on muffins. I'd use the NOW ingredients to make some pumpkin bread with walnuts. Or maybe some coconut date walnut balls. I'd make some Oatmeal Cookies with this! 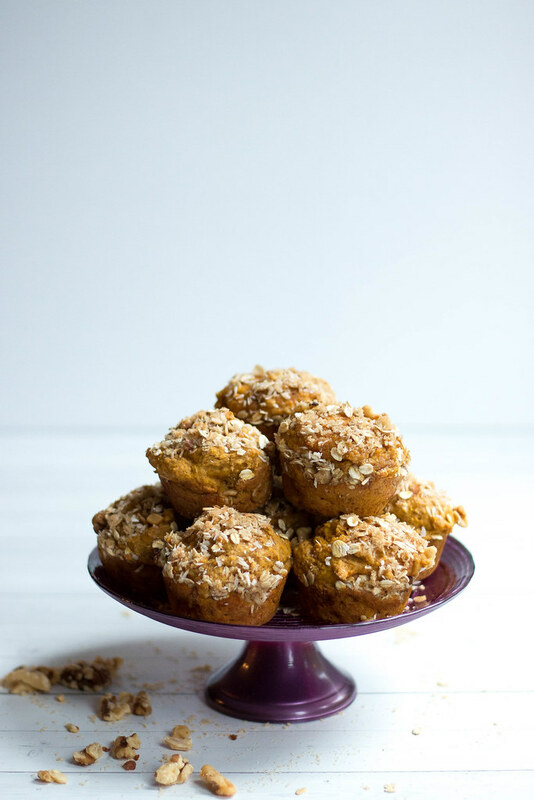 Pumpkin muffins are my favorite. 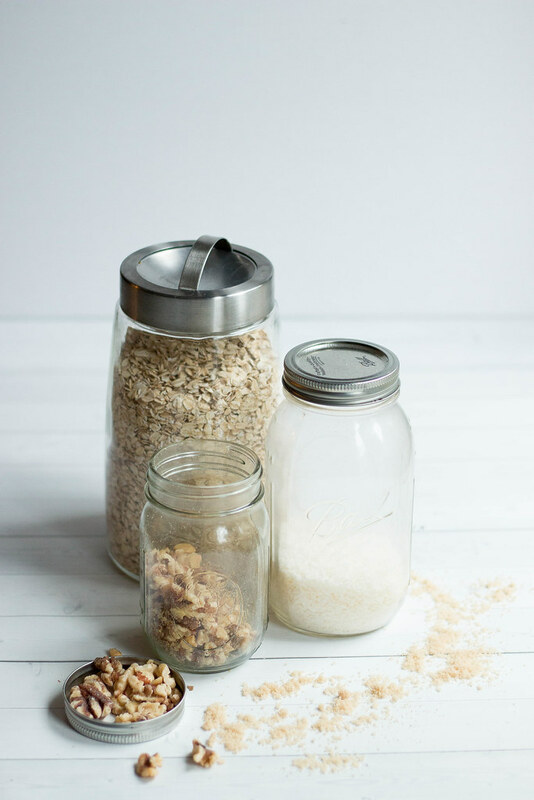 I would use these ingredients to make some really delicious overnight oats! 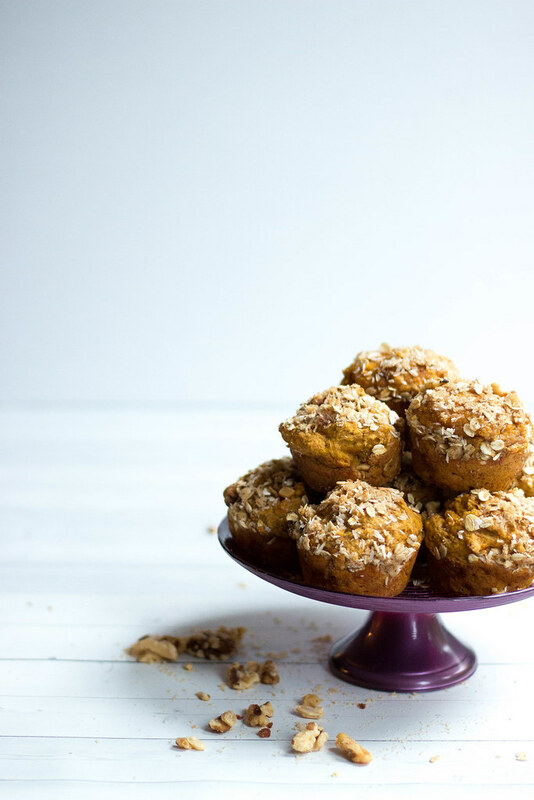 I'd make a breakfast bread with a coconut-walnut crunch topping! I would eat these muffins year round!!!! This basket would make a great batch of carrot cake waffles for a weekend brunch or weekday brinner! Thanks for providing a knowledgeable articals keep it up. If you are facing some technical errors with Quicken on your Mac computer device than call on Quicken Support Toll-free Number and contact with the expertise to resolve the error.